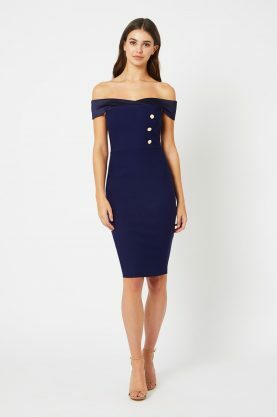 Turns heads in this super slimming number! 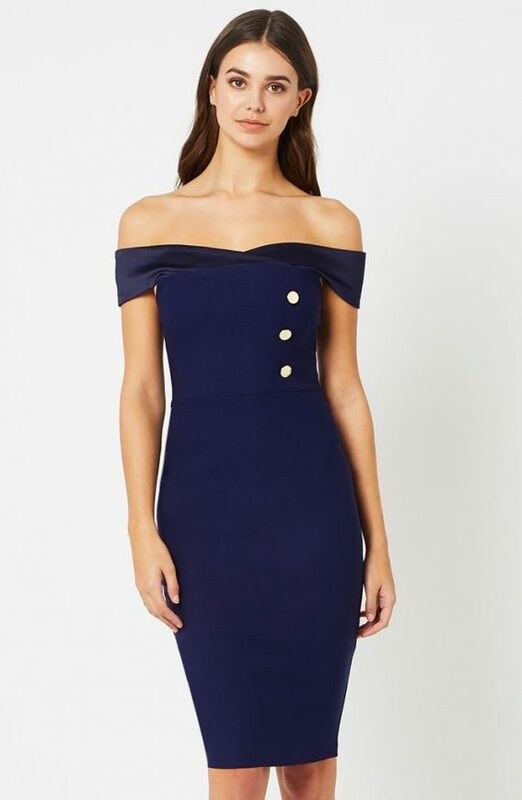 Navy Button Front Bardot Dress. 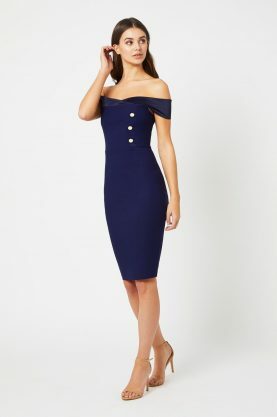 Made from stretch luxe fabric and has a oversized satin contrast bardot band. Amber has three statement gold buttons down the left side of the torso and has a centre back zip fastening. A very fitted true to size! Go up a size if in-between!